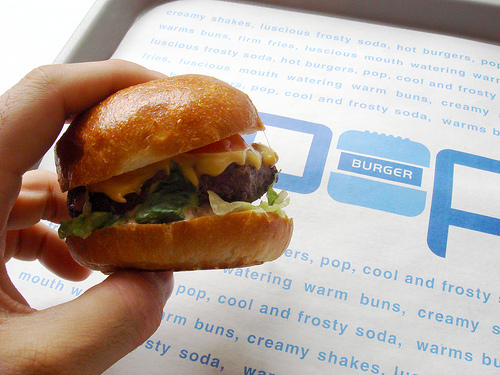 I like burgers and it’s always good to know about new places to eat at. 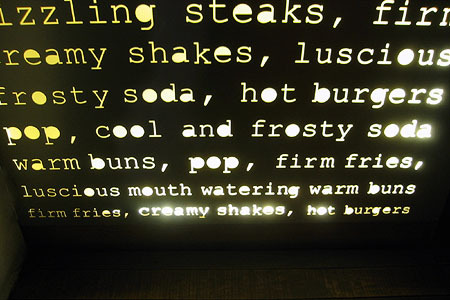 A trendy, moern, chic, burger joint. This is what i love about New York really, it never runs out of burger joints and pizza places. Oh, don’t worry i’ve visited other places too, incase you guys think all I did was eat in New york. This burger joint offers a limited variety of food items, you get the slider cheese burger, and the grilled cheese sandwich, & their chicken sandwich. Oh, and that veggie bean burger for those vegeterians. The food was nice, although not as good as The Burger Joint located in Le Parker Meredien, the one I posted about last night. I certainly loved the decoration, and that engraved wall at the entrance.